With the (RTW-1356), glow-up with our pure-cotton formal dress shirt by Shahzeb-Saeed. Our color/s Blue will be the best choice for casual, party, and executive wear. You can also pair the TWO with our seasonal formal cotton pants and wrinkle-free trousers for a sober, professional and classy look. Adapt the Season and set yourself apart with ShahzebSaeed’s Classic Menswear while saving your money as well! 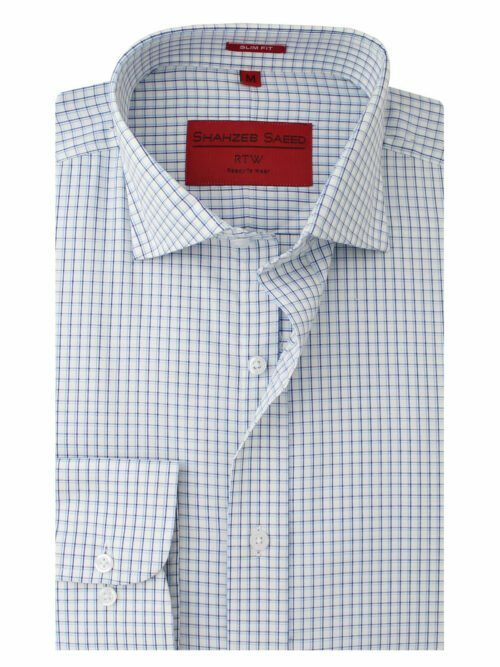 Each of our formal shirts are made with “fine 100% Egyptian Cotton-fabric with a smooth feel and finish.” Comes with both Slim & Regular fit giving you the perfect combo of Comfort and Ease, altogether. Collar & Cuffs with Memory Technology – No bubbles or puckering whatsoever!